Photo Credit: Angelito Jusay Photography. 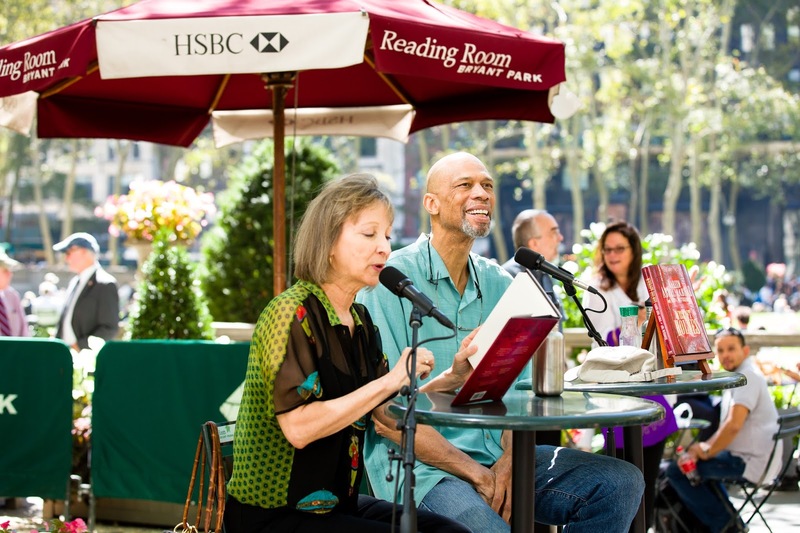 Last week the Reading Room scored big with basketball legend Kareem Abdul-Jabbar. While Abdul- Jabbar is most known for being the NBA's all time leading point scorer, he is also a noted author of several children's books, non-fiction books and two autobiographies. Adding to his list of accomplishments, he is now a best selling novelist with his latest book, Mycroft Holmes. If you haven't stopped by for any events this summer, there is one more chance next week for our last Reading Room program in the 2015 series. Be sure to join us at 7:00pm for a night of poetry with the renowned Canadian poet Anne Carson.